This is a composite of two images, with a texture abstract photo blended over a pelican photo.I have a folder of abstract and texture photographs I keep for when I want to make composite images like the one above. It is fun sometimes to spice up an image by combining two (or more) photographs in a complementary way. 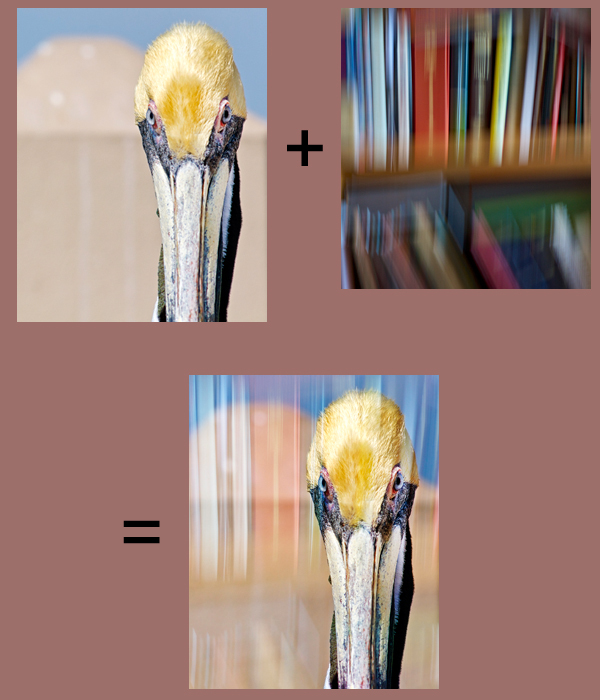 A blurry photo of a bookshelf was overlayed onto the photo of the pelican in Photoshop. I just adjusted the opacity of the book case photo down a little and set the blending mode to Overlay. Then I layer masked a little of the bookshelf image off of the pelican to make the pelican look cleaner. 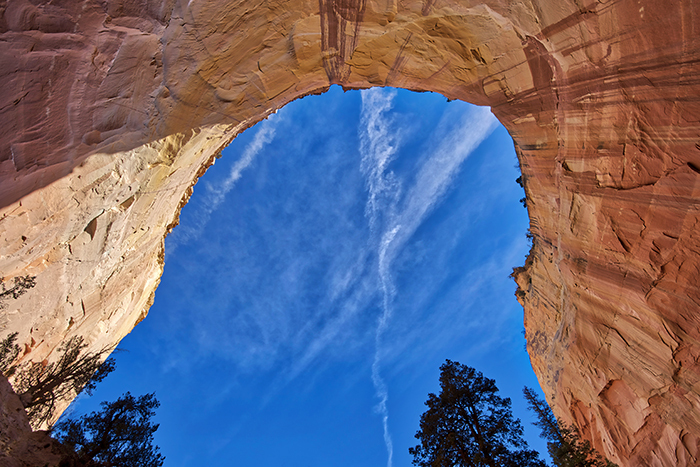 Digital Photography School has a good tutorial on how to do this if you would like to try it yourself!